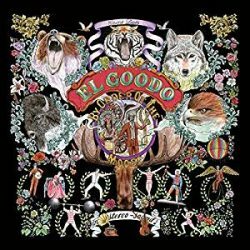 With bands like El Goodo you have to buy into what they’re doing or not engage at all. They indulge in a glorious nostalgia for 1960’s music – the signifiers are all decades old, they’re not about to break new ground, they’re just going to expand the pool of music inspired by the period, a Nuggets band where every day is an episode of The Prisoner. The test is how good they are at what they do, and El Goodo are amongst the best. Their command of the grammar of the music is perfect, and the songs sound like they come from the period rather than being recreations of it. It Makes Me Wonder really could have been played on the first days of Radio 1, the strings impeccably arranged and the harmonies are spot on; the production doesn’t over-polish and leaves room for the song to breathe. The lyrics are also endearingly primitive. Lay It on My Honey uses the idioms of the period, with no hint of the malaise of modern culture. This is music to dance to in coffee bars, music for fun. Susan & Bill has the easy charm of a Brian Wilson composition – built from harmonies with a simple backing track, it feels both full of sun and also the feel of the leaves starting to turn golden. Each song is like a tiny leak from a parallel universe where the 60’s never ended, where optimism imbued everything with an energy. So It Goes adds a dash If I Were A Rich Man and September sounds achingly familiar and fresh. If you want this kind of music then El Goods are a fantastic source, the ultimate escape from contemporary culture.